In an effort to spread campuswide awareness of Arabic culture, UC Irvine’s Arabic Language and Culture Club held an Arabic Tea Party next to Langson Library last Tuesday. 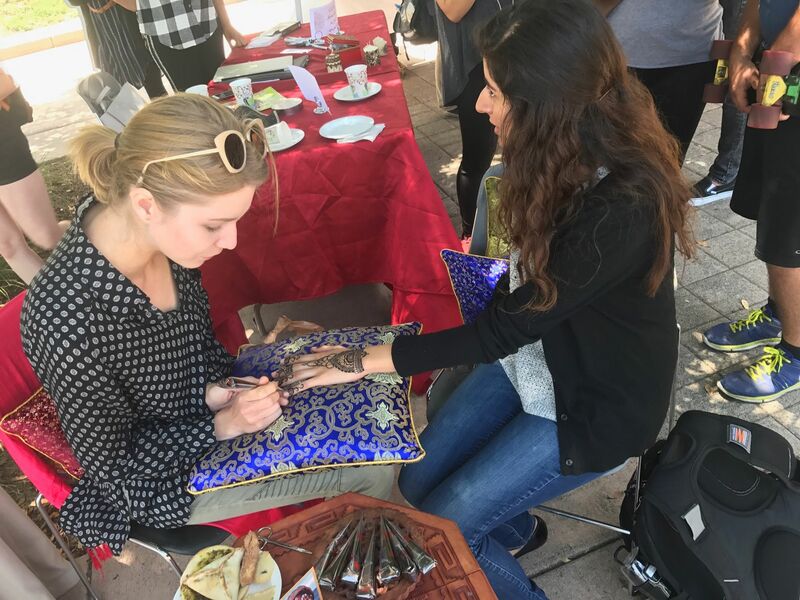 The event featured traditional Arabic food and drink from many diverse Middle Eastern countries, henna tattoos and games to guess Arabic words and places. The club also held a ceremony for the winner of their poster contest, “Reclaiming the Arabic Narrative,” which centered on representing aspects of beauty in Arabic culture. “There’s a lot of imagery and things out there in the media about Arabs and Arab culture that aren’t very positive, so because students are taking Arabic here at UCI, I wanted them to have the opportunity to share their perspective on what they’ve found out about the culture and the language,” said UCI Arabic lecturer Raheelia Maniar. To that end, the club held workshops on how to portray emotion through imagery so students could express themselves through a visual medium rather than through the Arabic language. Four students submitted their flyers for the poster contest and the winner was announced in a ceremony complete with a certificate and congratulatory remarks. The winner of this year’s contest was Bibi Zaveria, a third-year international studies and business economics double major. The event showcased a variety of teas and foods from various regions and cultures in the Middle East, as well as Arab desserts and snack foods, including the popular baklava and basbousa, a traditionally Egyptian sweet cake. Also included was Karkade, a hibiscus tea traditionally drank by Islamic cultures during Ramadan, a Muslim holiday celebrating the revealing of the Qu’ran and encouraging charity. The refreshments were culturally significant in other ways. Since so many regions share the same dishes, the food was a tool to bring people from all corners of the Arab world, as well as from outside the Arab world, together. 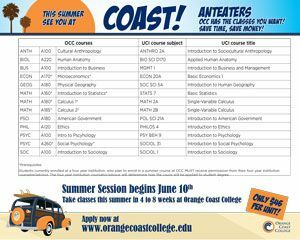 The club is an extension of UCI’s Arabic classes, but students do not have to be enrolled in classes to participate. The club welcomes everyone with an interest in exploring the facets of the Arabic language and culture. It also puts on many events throughout the quarter delving into the nuances of the culture, including an event last quarter where they invited a professor to teach students the art of Arabic calligraphy. In fall 2017, the beginning-level Arabic class, Arabic 1A, will meet Tuesdays and Thursdays from 9 p.m. to 10:50 a.m. The class is a new hybrid style which will include an additional hour of online instruction.